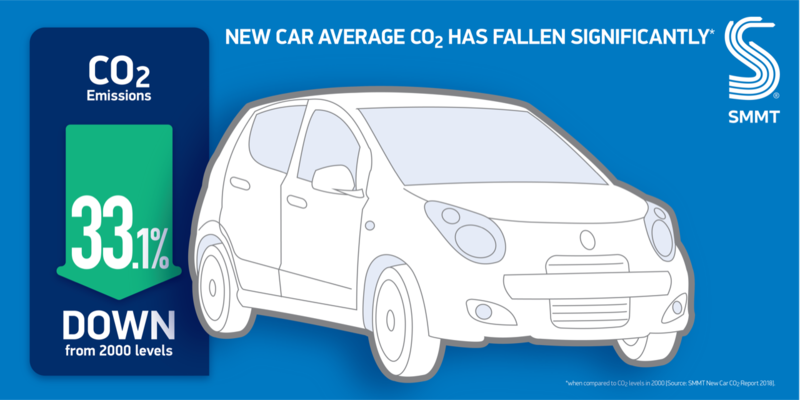 New car average CO2 has fallen significantly since 2000. The automotive industry has spent billions of pounds developing advanced engine, fuel and battery technologies to help drive down CO2 emissions. 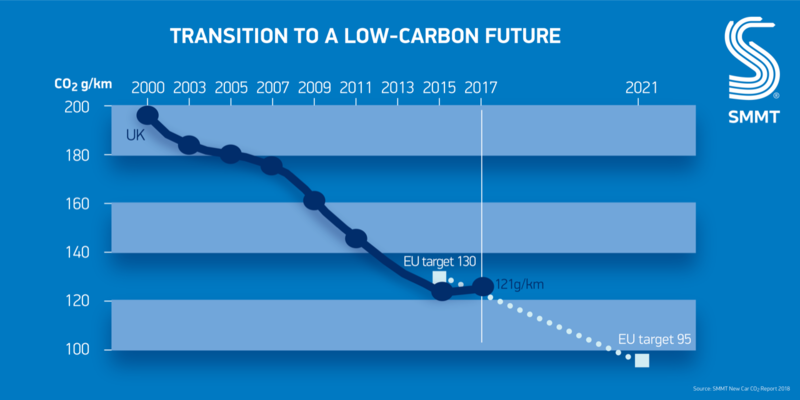 These ongoing improvements mean average CO2 is still a third (-33.1%) lower than in 2000. 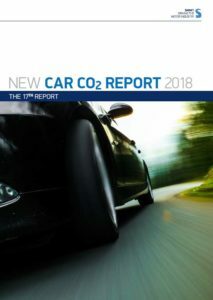 Despite cars being ever more efficient, the average UK new car CO2 has risen 0.8% in 2017, the first rise in two decades. New car technology has improved efficiency. 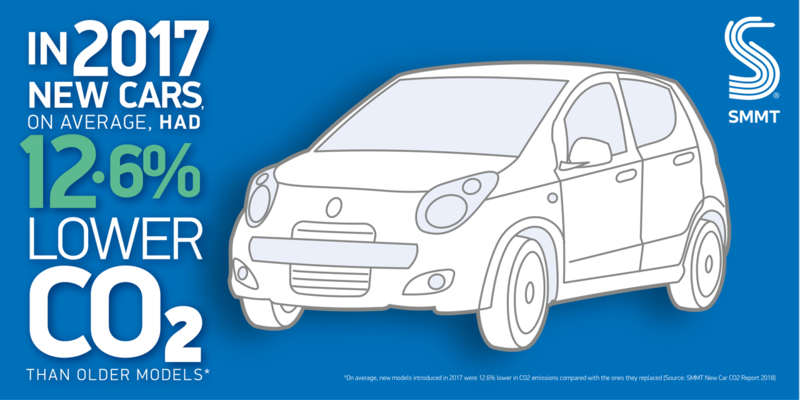 New cars on sale in 2017 emit -12.6% less carbon dioxide than the equivalent older models. 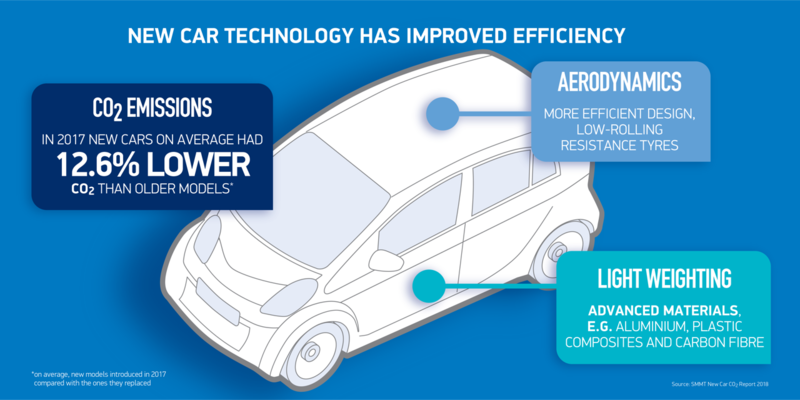 Massive investment by manufacturers into advanced powertrains, lightweight materials and aerodynamics means new cars are becoming ever more efficient. Click on the image of the report to view it as a pdf document.